The purchase of any horse is a risk. However, you can take steps to minimise that risk. Once you have chosen your potential purchase and you are sure it is suitable for you and your intended use (it is advisable to consult your friends and trainers regarding suitability) then the next step is to consider a pre-purchase examination ('vetting'). 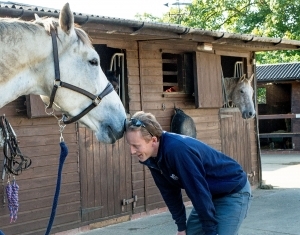 The veterinary examination is a thorough examination of the chosen horse to identify and assess those factors of a veterinary nature that may affect the horse's suitability for its intended use. A full clinical examination - an assessment is made of the age, conformation, heart, lungs and eyes. Assessment of soundness at the walk and the trot in a straight line. Limb flexion tests are commonly performed at this stage. Observation of the horse when working. 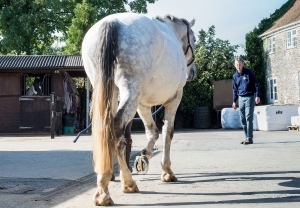 Most horses are observed whilst being ridden, but an unbroken horse may be seen on the lunge. Here the horse's soundness whilst working is assessed, as well as the competence of the upper airway ('wind'). The heart is also re-assessed here to evaluate its function when working hard. A period of rest, including monitoring the horse's recovery rate. If required, further investigations can be made, including radiographs of joints and endoscopic examination of the upper respiratory tract. A blood sample is routinely taken at the end of the examination. This sample can prove whether a horse has received sedatives or painkillers, which may have influenced the examination. The blood is available for testing up to 6 months following the vetting. Under some circumstances a limited pre-purchase examination may be all that is required. Here the first two stages as outlined above are performed. It must be noted that some lameness, heart and respiratory conditions will not be found during a two-stage examination. Please contact us to discuss any queries you may have with the process or to book an appointment.